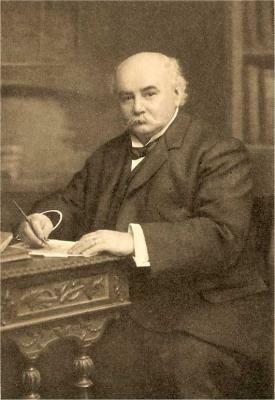 Nathaniel Gould (1857 - 1919), universally known as Nat Gould, was one of the most prolific authors of all time. During his life he wrote numerous best selling books, normally on a racing theme, and was in his day the most widely-read author in the world. A biography of Nat Gould has now been published, complementing the information on this website. I am always pleased to receive your comments and suggestions. This section of the website gives details of the life of Nat Gould. This section of the website gives details of the very many books he wrote. This section of the website provides details of his family tree. This section of the website gives details of his children and their descendants. This section of the website describes his wider effect on the world.